Submit your new website to ALL search engines. If you’re looking for an edge in an online world that is competitive and ever-changing, every small advantage helps. Website visibility can be increasingly hard in the high-noise digital landscape, but let’s look at one area where you can make a sizable breakthrough with minimal to no extra effort. Website Visible To Search Engines. The area you can make this extra impact in, is by taking a macro view of search engine optimization (SEO). While most people only think about how they can optimize Google, you can differentiate by thinking instead about how to optimize your presence and visibility on ALL search engines. Search Engine Visibility Internet Marketing For a few dollars a month! Online traffic is driven largely by metrics that indicate where people will find the best and most relevant site and information, from the keywords and search terms they’ve entered. This means you’ll want to create a strategy around placing these words on your website and blog, in such a way that the type of person who would ideally be your customer, can find you when searching. Within this question, we need to be careful to separate what are only superficial differences, and will matter simply to people on the user end of the search in an aesthetic way, and what differences affect how people will find you via the keywords you’ve chosen to concentrate on. Why do most people concentrate on Google then? Well for one it’s become a household word, and even a verb, but the other reason is that people are just afraid of what they don’t know, and used to operating habitually. 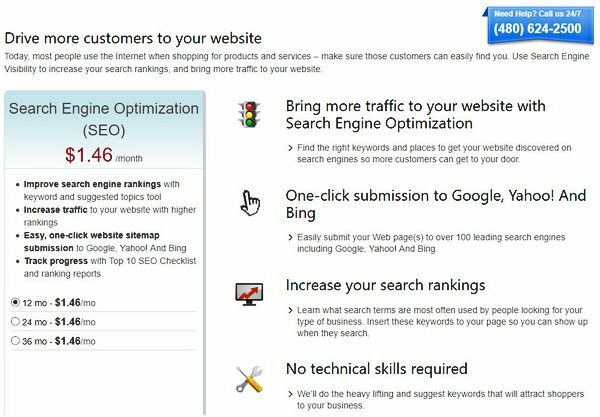 Investing a little bit more into a strategy for Bing, for example, will give you easier access to ranking higher on that search engine than many of your competitors. This means that just as “some” people use Google as a default search engine, an equally high percentage will only focus on Google in their SEO efforts, leaving that area more open for business-minded people who can break through fear of the unknown and the gravity of habit. Another difference between the two search engines, is that Bing will rate keyword density higher than what Google currently does. If you have your keyword in your company name’s url, for example, or in a blog post url (through the title) you will have a higher keyword density. One other difference between the search engines, is that Bing and Yahoo (Yahoo is powered by Bing now), are better at crawling through multimedia content for searches. The big question remains then, of “how can I be visible on ALL of these platforms?” You can start by getting to work creating and maintaining an active website that incorporates SEO best practices. But you can get a leg up above most people already doing this by expanding to incorporate other search engines, particularly Bing, as we’ve covered here. Search Engine Visibility is our Search Engine Optimization (SEO) tool that helps you improve your site’s search engine ranking, drive traffic to your site, and get your business found easily from all the major search engines. You don’t need to be an expert to get started using Search Engine Visibility SEO services. If you can point, click and type, you can get great results. In fact, even the most discerning search engine gurus appreciate the easy-to-use SEO tools for generating keywords and identifying the top 10 SEO website issues. If you want people to find your site, you need to get it listed with search engines. SEO is the process of making your website more “friendly” for search engines, which helps them categorize it and display it in relevant search results. Optimizing your site can improve its organic search result ranking. Why should I choose NicBuy.com for my SEO services? We know there are plenty of SEO tools out there, but as the world’s number one domain registrar, we know the Web inside and out. We’re passionate about this stuff, so we designed our SEO services to be as powerful as they are easy to use and cost effective. Got questions? Our award-winning, 24/7 support team is just a phone call away. Search Engine Visibility works however you need it to. Our SEO tools analyze your website and help you identify search terms and keywords that can increase traffic on your website. 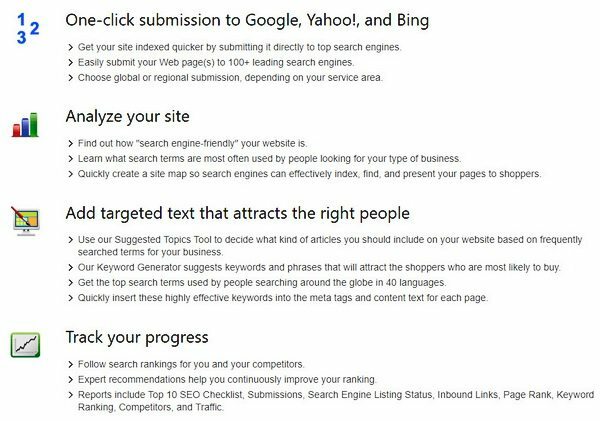 Once you’ve placed the search terms and keywords in your website’s content, use our one-click site submission tool to submit your site to the world’s top search engines. For more detail, you can analyze and optimize your site with a wide variety of SEO tools, from our keyword generator to our site map creator. Yes You can follow the search engine ranking for your site, as well as those of your competitors using our detailed ranking reports. Plus, you can access several search engine reports including submissions, status, keyword ranking, and website traffic. You can get all of this and more with Search Engine Visibility SEO services. If you need any help in this area, we can make it much easier, through our one-click submission to Google, Yahoo!, and Bing. To get started, contact us using the comments form below.